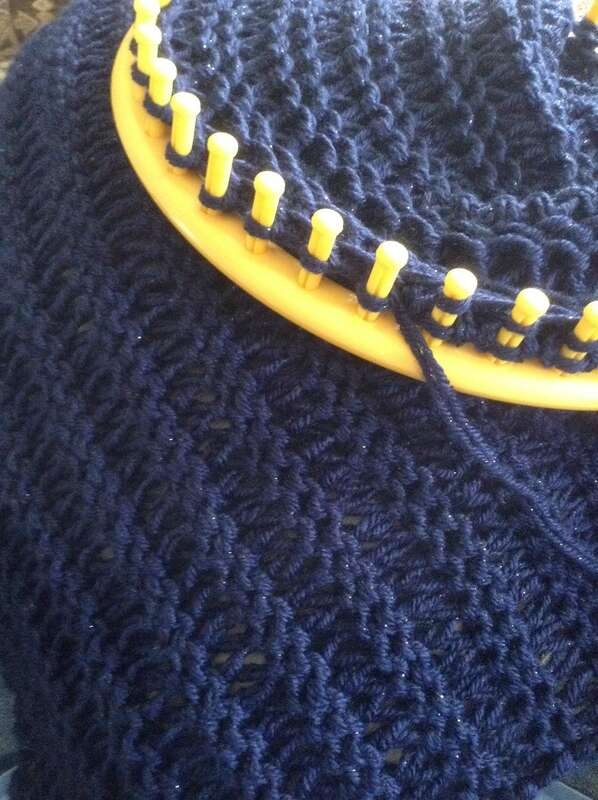 This poncho is knit on any 3/4” gauge loom with a minimum of 40 pegs, like the yellow Knifty Knitter round loom. 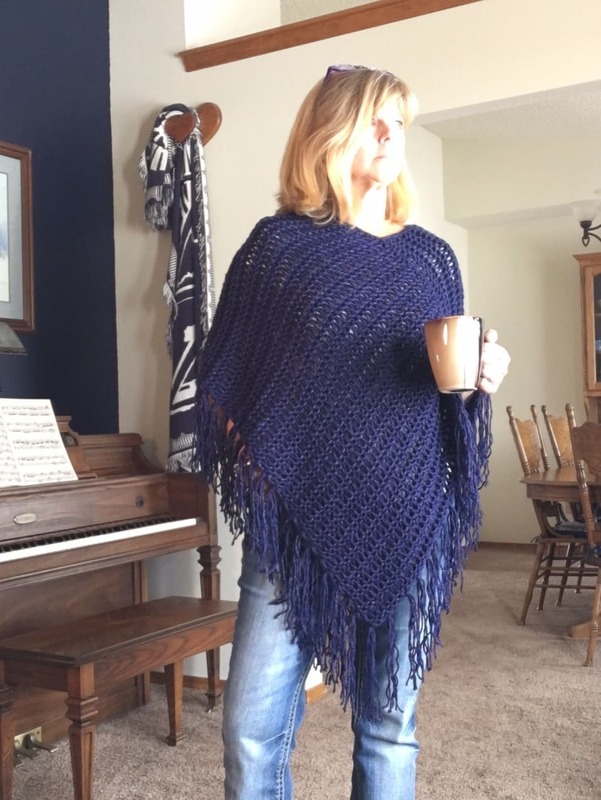 The poncho uses approximately 980 yards of a soft worsted weight yarn. 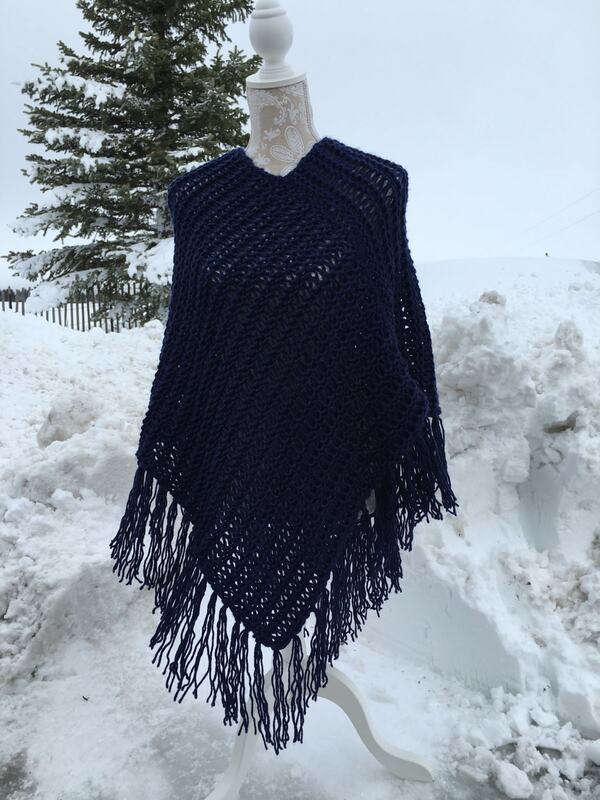 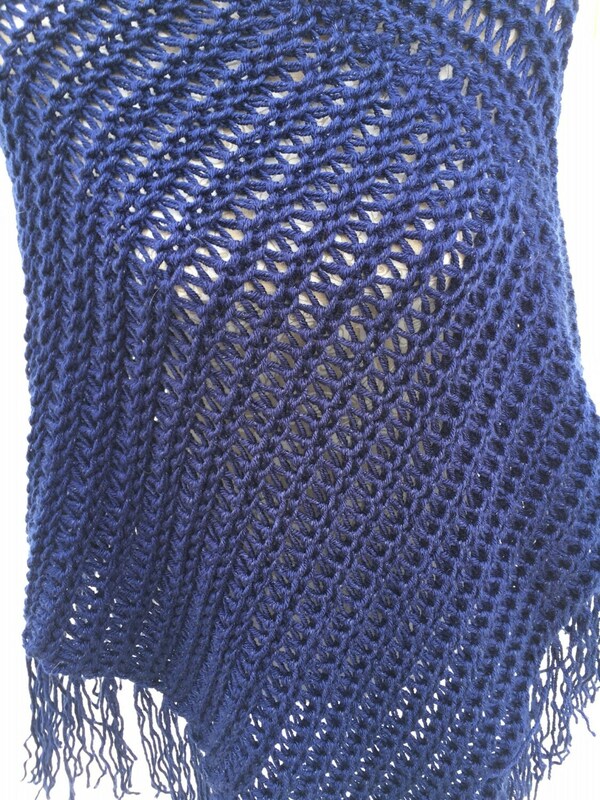 The sample was knit with Caron Simply Soft Party in the Navy Sparkle colorway.